The US Debt Clock tells us our national debt is around $21 trillion. Social Security promises are approaching $17 trillion – included in the “unfunded” government promises – over $112 trillion. 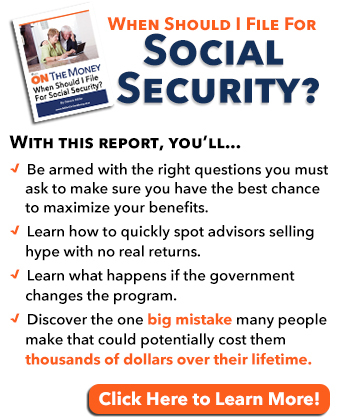 Despite government mandated Cost of Living Increases, our recent article, “An Inconvenient Truth About Social Security” clearly indicates social security recipients have no inflation protection.Each month, seniors and savers see the buying power of their nest egg and social security check go down! “The deficit implications of this triple-whammy are so horrendous that gold is showing strength despite higher rates, on fears that huge deficits and credit downgrades will erode confidence in the U.S. dollar itself. …. The lesson for investors is … stay alert, don’t use leverage and don’t sell more volatility than you can afford to lose. Regardless of the cause, inflation can wipe out seniors and savers buying power very quickly. It’s up to each individual to protect themselves against high inflation. One of the best ways to do that is to own precious metals. 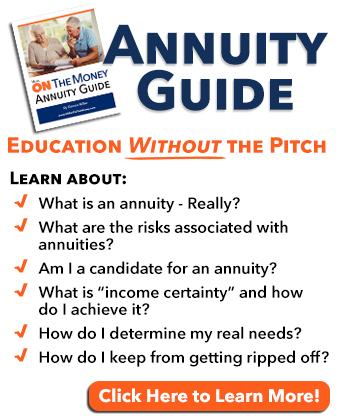 How can retirees protect themselves? Every dollar invested in metals takes away from other dividend or interest producing assets. What is the best way to buy inflation protection, while still allowing for an income stream from the rest of our nest egg? Today, we are going to explore the best and safest ways to buy and hold metals as an insurance policy to protect your life savings. My go-to expert on this subject is Jeff Clark. Jeff has been a gold analyst since 2007, and currently is the senior precious metals analyst at GoldSilver.com. I worked with Jeff at Casey Research and his expertise and integrity are well known in the industry. DENNIS: Jeff I appreciate you taking the time to help our readers. When I talked with a stockbroker about gold, he said it was too risky. He immediately focused on risky mining stocks. Today I don’t want to talk about gold as an investment; but rather how our readers can use precious metals to protect their life savings against inflation. JEFF: First of all, Dennis, thank you for inviting me. 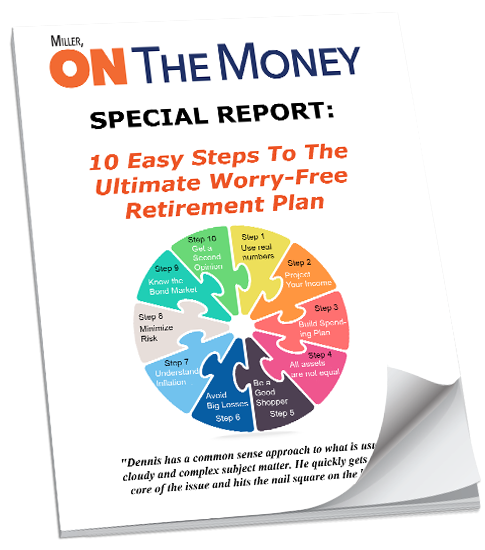 I have the utmost respect for what you’re doing to help retirees. For the investor that has no bullion, I advise two basic things: first, buy physical metal, not ETFs. Paper forms of gold can be convenient, but in a crisis situation or any type of emergency, you want to hold the real thing and have it immediately accessible. Second, buy one-ounce gold and silver coins, at least to start. I recommend sovereign coins, which means they’re produced by a government mint. This includes Eagles, Maple Leafs, Buffaloes, Philharmonics, and Kangaroos. These coins are guaranteed by their respective governments, for both purity and content. They’re highly liquid, meaning easy to sell; almost any dealer in the world will buy them from you. DENNIS: I visited a retail coin dealer and he immediately started selling me on collectibles. If readers want metals for insurance – inflation protection plain and simple – are collectibles a good choice? JEFF: I hate hearing stories like this because most people shouldn’t be buying collectible gold coins. Unless you know the numismatic market, you’ll almost always overpay – meaning the market has to rise a lot more for you to break even. There’s no guarantee the value of a rare coin will appreciate – it depends on factors like rarity, condition, supply, and demand, etc. Rare coins don’t necessarily follow the gold price up and down. I owned a rare gold coin which barely appreciated when the gold price doubled in 2010/11. After commissions, I broke even on the sale. My bullion coins, on the other hand, followed the market and doubled in value. Dealers push collectibles because they make a much higher commission. Unless you want to be a collector and are willing to study the market-just like stamps or baseball cards-avoid rare coins. It’s speculation, not investing. DENNIS: What about the ads we constantly see on television using TV personalities from our youth, now sprouting grey hair? By the time they include advertising costs in their products, are they competitive? JEFF: It costs a lot of money to advertise on TV… many of those dealers pay celebrity endorsements… and most have fancy offices that come with lots of overhead. They have to cover those costs somehow. Remember, the goal is to protect against crisis and inflation, so focus on buying investment grade bullion. And always do some comparison shopping. 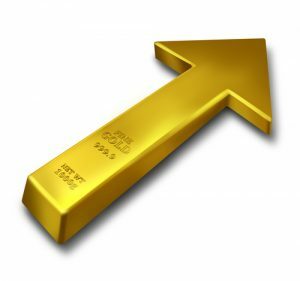 DENNIS: I believe there are two types of gold buyers, those who are buying for investment; meaning they want to buy with the intention of selling down the road for a profit. Others, like myself, buy for insurance hoping they never have to sell because of high inflation – and would love to see their holdings passed to the next generation. What advice do you have for the latter group? JEFF: Gold is usually thought of as a defensive asset, a hedge for economic, market, or monetary turmoil. As you mentioned, the risk of those events is elevated right now. I suggest being overweight in precious metals-just as you might be more expeditious in buying life insurance if your family has a history of heart disease. If something like that happens, regardless of the catalyst, both investors and insurance buyers will benefit. At that point, we may sell a portion of our overvalued gold holdings and move into an asset class that is undervalued. Those buying strictly for insurance purposes should buy what will hold its value through at least one generation. Investment-grade bullion tracks the price of gold, is easy to sell if you must, and won’t be subject to the whims of the numismatic market. DENNIS: One final question. Hiding precious metals under your mattress is fraught with risk. What about storage? Is it expensive? JEFF: Everyone should have some precious metals immediately available to them. Owning and holding physical gold provides instant access in the event of an emergency. Just take a coin to a dealer and you have your money. However, keeping all your bullion at or near home is risky – fire, theft, natural disaster, etc. Once it’s gone, it’s gone. There’s also some risk in keeping too much in a safe deposit box at your local bank. Many don’t realize the contents aren’t insured, and it’s now inside the banking system with limited banking hours. Some Japanese investors lost their box contents when the 2011 tsunami washed their bank out to sea. Keep some at or near home; however, a private vaulting storage facility is a safe, affordable option – even for a small investor. 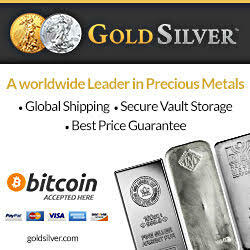 Allocated storage at GoldSilver is just 0.72% of asset volume per year ($4/month minimum). When you compare using a gold ETF, you realize that not only is my gold just as safe, but I own the real thing and can take delivery at any time. That’s the advantage of using a private vault. DENNIS: Jeff, on behalf of our readers, thank you for your time. 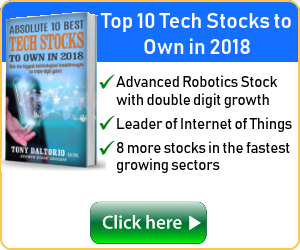 Disclosure: We’ve recently added Goldsilver.com as an affiliate. Should you choose to buy metals from them, and go through this LINK, they send us a small stipend to help us offset the cost of our publication.I feel their “best price guarantee” is important for our readers. We want the maximum amount of inflation protection at the lowest price available. I urge readers to check them out. The financial relationship has no bearing on why I wrote this article. I’m very concerned about inflation. We all worked too hard to scrimp, save and build a nest egg to lose any of it to government created inflation. Dennis again. Home sales are down, and the Fed is hell-bent on continuing to raise rates. I’m very concerned that they will blow through their 2% inflation goal before they know it. Stay tuned! Last week Jo celebrated her 70th birthday. It’s hard to explain, but there is something special about 70 and how you feel. Anyone who has been there knows what I mean. Shortly after we were married, I secretly took out an ad in the local paper on her birthday saying, “Lordy! Lordy! Jo turned 40.” Despite a few aches and pains, why is it we are mentally still feeling a lot younger? We used to joke about taking care of each other in our old age…well damn, it seems like it got here fast. It beats the alternative…and I hope we can continue for many more years. I’m a lucky man! 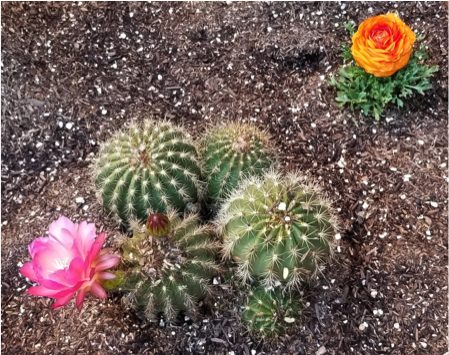 We recently built a raised flowerbed, primarily for a cactus garden. Not a week later we were greeted with some lovely blooms. Another reminder that life goes on. It’s springtime here in AZ and the beautiful cactus flowers are starting to appear. All that truly matters, in the end, is that you loved. Why diversify into other Fiat currencies when those are all just as bad if not worse? All Fiat currencies go to zero. I will take the silver and gold any day but other Fiat currencies????? I agree with you about metals; however there becomes a point where you don’t want to be too far overweight. Currencies trade in pairs, one goes up in relationship to another that goes down. The trick is to diversify properly into a currency that will rise when your home currency drops. That’s an entirely different article….